LED vs. CFL: Which Is The Best Light Bulb For Your Home? There is one clear winner. For more than 100 years, there was only way to light up your home: the old-school, incandescent filament light bulb. Fluorescents lamps were also available, but they were mostly used for offices and red glowing “OPEN” signs. But starting in the ‘90s, consumers were confronted by an overwhelming number of options at their local Home Depot’s lighting section. And considering that modern bulbs can last years without being replaced, it became more important than ever to make the right decision. No one wants to be stuck with subpar lighting. This guide will help you make sense of the two most popular types of eco-friendly bulbs today: compact fluorescent light (CFL) bulbs and light-emitting diode (LED) bulbs. 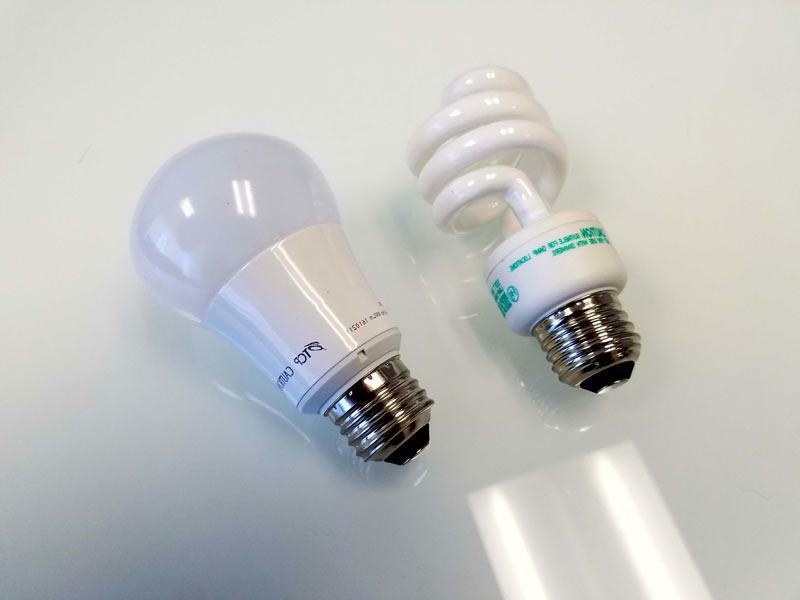 LED vs. CFL — Which Bulb Is Better? LED bulbs are better than CFL bulbs. End of story. They’re in different light source leagues. Frankly, I’m shocked that so many people act like it’s a matter of personal preference. It’s not. If you want the best, most useful, and most high tech bulbs for your home, get LED. If you want inferior technology that will look downright kitschy in a few years, get CFL. Look, I have no bias when I say this. I’m not in the pocket of of Big Diode or anything. It’s just that by any measure, LED bulbs are superior. If you looked into it, you’d say the same thing. CFL bulbs are such garbage that General Electric has decided to stop producing them at the end of 2016. Frankly, it’s appropriate that they look a little like glass sculptures of dog poop. Don't act like you don't see it. The only real advantage that CFLs have over LEDs is price. But LEDs get cheaper every month and, honestly, a few extra bucks is worth it to not have those curly things all over your place. LED bulbs are 100 percent better. That’s the answer. If that’s all you wanted to know, you have permission to stop reading and start your light bulb shopping adventure. If, however, you want be a light bulb expert and get into the nitty-gritty of these two kinds of bulbs, read on. Ready? Let’s learn about light bulbs! You’re already familiar with LED light in your everyday life. They make stoplights bright green, yellow, and red. They're used in old-school digital clocks.They might even backlight your television. LEDs are a kind of lighting called solid state lighting (SSL). This is lighting that illuminates up a particular substance, rather than generating light through a gas or a filament. In the case of LEDs, that substance is a semiconductor. When voltage is applied to two wires placed in the semiconductor, it stimulates electrons, causing the semiconductor to glow. LEDs are the cutting edge of light technology and you should forsake all other bulbs. As great as LED bulbs, they do sometimes emit a “buzzing’ sound. This hum can be caused by electromagnetic interference. If you notice the bulbs making an irritating sound while your microwave or other appliance is running, your options are unfortunately limited. You can either move the device further out of range of the bulb or you can buy a different device that emits less interference. It’s also possible that a buzzing sound might be caused by an incompatible dimmer. Since LEDs don’t dim in the same way as conventional light bulbs, they require a specialized dimmer. Simply make sure that the dimmer you purchase is compatible with LED lights. LED bulbs are low heat and can be used in a variety of fixtures. Here are the main types of LED bulbs. These bulbs feature a small cluster of LED lights. They are covered by a diffuser to improve the quality of the light. They’re ideal, all-purpose bulbs and can be used anywhere you’d normally use an incandescent bulb. A globe LED bulb produces as much light as a 40 watt LED bulb, but it only requires 10 watts of power. These are dimmable all the way down to 10 percent of their max brightness. If you have track lighting that requires a MR-16 pin base, then these are your best option. They’re great for commercial spaces because even a large number of these lights won’t adversely heat up a room. These are the standard LED replacements for candelabra bulbs. Do you have a florescent tube fixture and want to use LED lights instead? This lets you replace those old-school tubes with high tech lights. 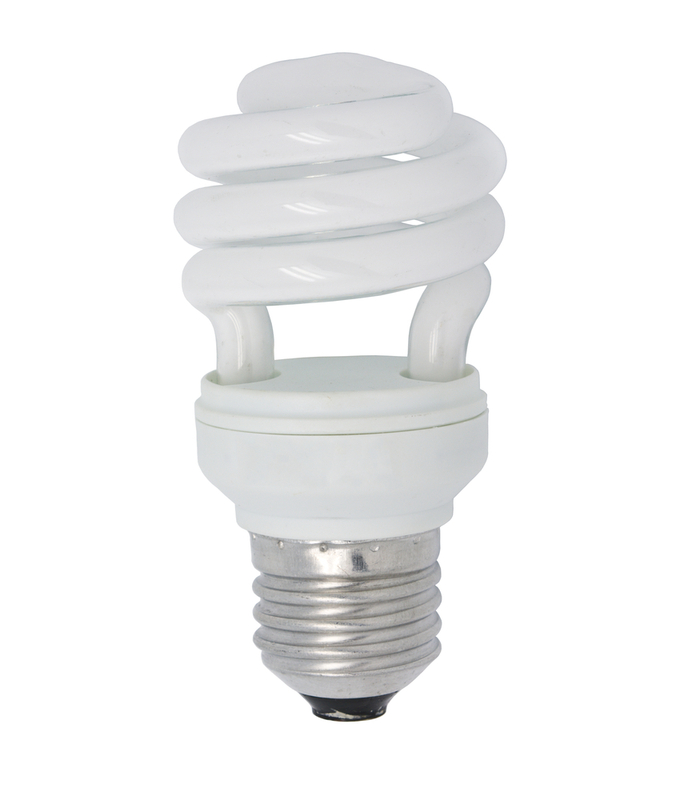 CFL light bulbs operate on the same technology as those long tubes that light up offices. The inside of the tube is filled with argon and a small amount of mercury vapor. When an electric current is driven through the tube, it generates invisible ultraviolet light. This stimulates the tube’s phosphor coating, which generates bright, visible light. Interestingly, it takes more energy than a regular light bulb to illuminate a CFL at first. But once it has started, it requires much less energy. A small circuit board called a “ballast” regulates the flow of electricity and ensures that the minimum amount of energy is being used to create the light. Like LEDs and conventional bulbs, CFL bulbs might make a humming sound. But in the case of CFLs, it’s usually caused by the ballast, the part of the bulb that regulates the flow of electricity. 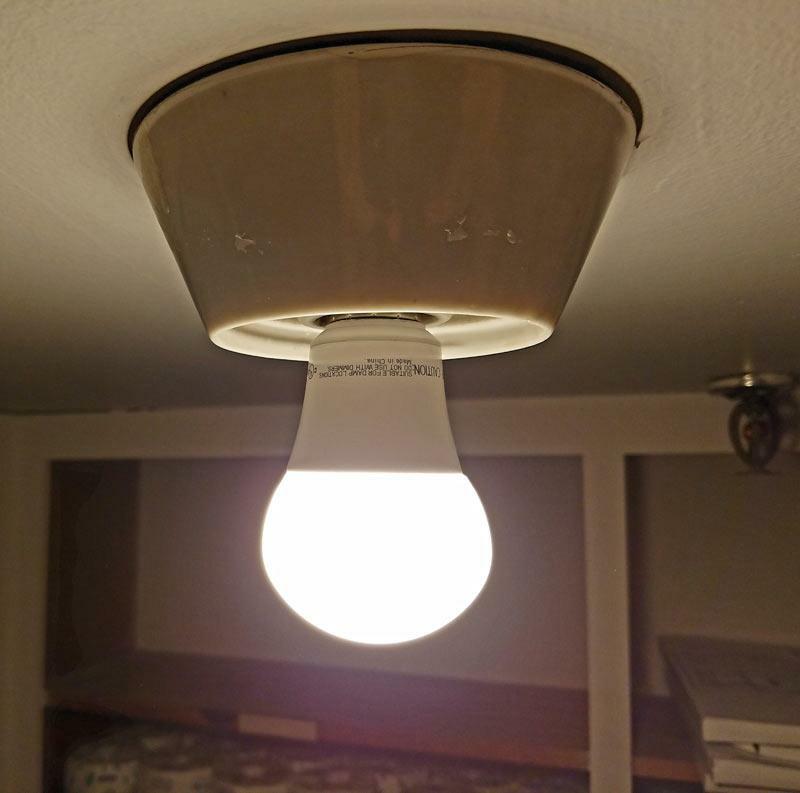 This might happen if the bulb gets too old, or if there’s a faulty connection between the ballast and the mounting plate. 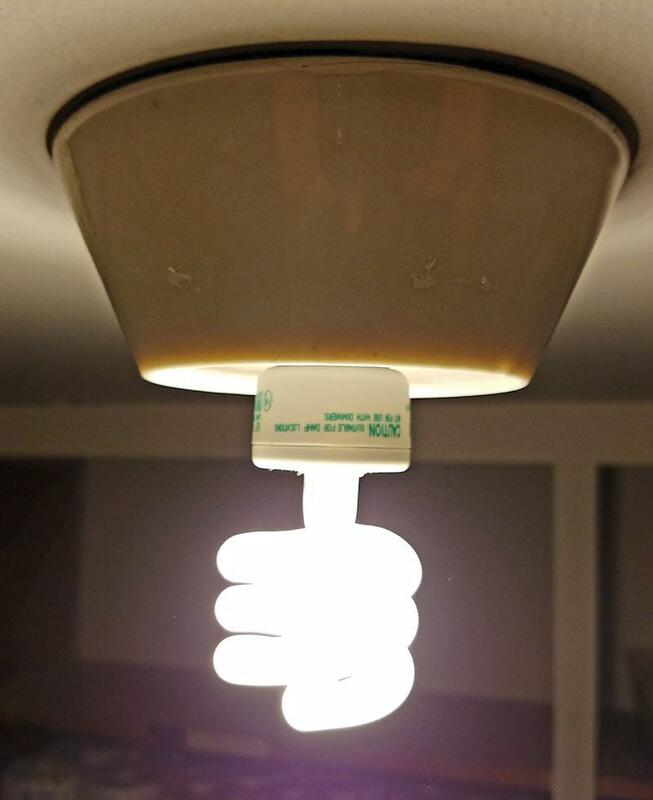 CFL uses older technology than LED. But modern CFL bulbs can be used in every light fixture in your house. Not that you should. Here are the major types of CFL bulbs. Spiral lamps have a tube that curls around in a bulb-like shape. These are designed to be compact enough to fit into most fixtures that use a common incandescent bulb. These feature three tubes in a “U” shape, rather than a curly bulb. The design allows the bulb to generate even more light in a smaller amount of space. These are identical to CFL spiral bulbs, except they also feature a dome cover. This makes them appear more like a old-school light bulb. This is ideal for anyone who wants a traditional light bulb appearance. The diffuser also softens the tone of the light. Globe lamps are like standard lamps, except with a larger dome cover. They are most commonly used in bathroom vanity mirrors. Flood lamps provide a large amount of highly concentrated light. They’re most commonly found in track lighting, outdoor spaces, and commercial lighting. These are candle-shaped CFL bulbs designed to replace traditional candelabra bulbs. Because these CFL bulbs contain toxic mercury, they are more hazardous than other bulbs. So should you accidentally break one, expect to block off some time in order to properly clean it up. This means your plans are cancelled. 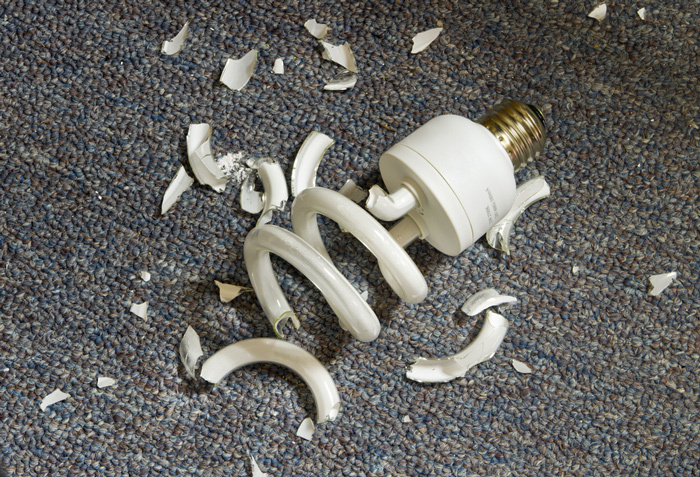 Here is a brief overview of what you should do if you accidentally break a CFL bulb. Have everybody leave the room and open up any adjacent doors and windows. If your central home air conditioning system is running, turn it off. Allow the room to air out for five to 10 minutes. Collect clean up materials, including cardboard, sticky tape, damp paper towels, and a glass jar with a metal lid or a sealable plastic bag. Leave the vacuum right in the closet where it belongs. Vacuuming might spread the toxic materials throughout the house. Instead, scoop up the large pieces of glass with the cardboard or stiff pieces of paper. Pick up the remaining smaller pieces of glass and powder with sticky tape. Place all of the broken glass and used tape in a sealable jar or plastic container. Place the containers outside. Check with your local government to see if they require any special disposal methods. They might require you to take the containers to a local recycling center. If they don’t, then you can simply throw them away with the rest of your garbage. For a more comprehensive guide to disposing of a broken CFL bulb, check out this guide by the Environmental Protection Agency. Once you know what kind of bulb you’re going to buy (again: just get LED bulbs), your work isn’t over yet. You will also have to choose your correlated color temperature, or CCT. This is a measure of the tone of bright light in kelvin or “K”. Light with a low CCT (around 2500K) will have an orange or yellow tint. Light with a medium CCT (around 3500K) will be pure white. Light with a high CCT (around 6500K) will have a blue tint. Which is best for your home is purely a matter of personal preference. However, most decorators describe low CCT light as warm and inviting, medium CCT as clean and efficient, and high CCT light as bright and cool. There are three important factors to consider when calculating the total cost of lightbulbs: bulb cost, bulb lifespan, and energy cost. LED bulbs cost between $8 - $12. CFL bulbs are cheaper, somewhere in the neighborhood of two bucks a bulb. But since LED bulbs last longer and require less energy, they’re actually a smarter investment. LED light bulbs are typically quoted as having a lifespan of 25,000 hours (that’s more than 1,000 straight days). That sounds impressive, but you have to remember one important thing: LED bulbs almost never actually “burn out” like other kinds of bulbs. Instead, they simply get dimmer slowly over time. That “25,000 hours” figure is the point at which most LED bulbs reach 70 percent of their peak brightness. Why 70 percent? It’s essentially an arbitrary number decided by the lighting industry. 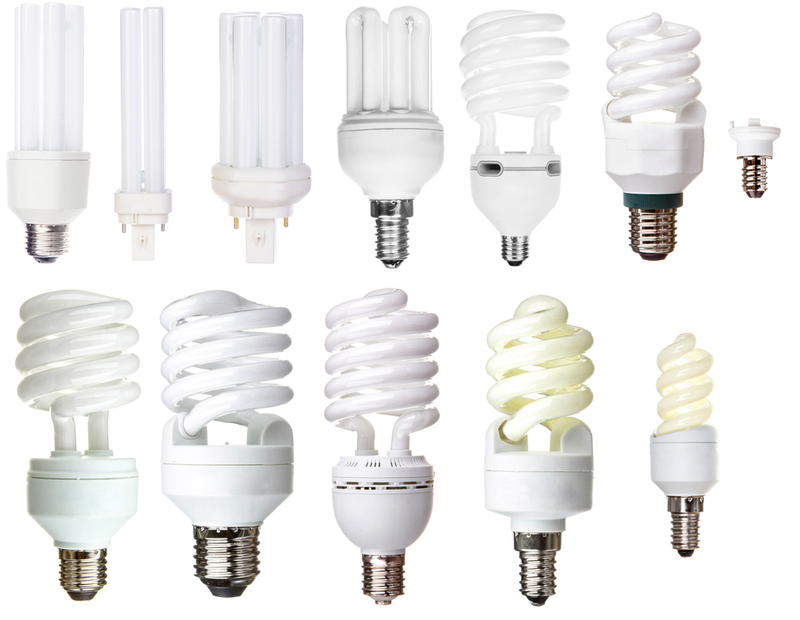 CFL light bulbs have a lifespan listed at 10,000 hours. But that also comes with its own set of caveats. Florescent bulbs are most taxed shortly after they are switched on. Once they’re warmed up and glowing bright, they actually require very little energy. So if you frequently switch the bulbs on and off, they might only last as little as 4,000 hours. So does that mean that you should stock up on modern light bulbs and toss out all of your old-school ones? You can make it a home improvement project if you want. But if you don’t feel like handling glass in one afternoon, you could simply replace them one by one. Choose your favorite brand of bulb and buy a pack. When a bulb burns out, swap it out with a newer one. Your entire home will glow with light from low-cost, environmentally friendly bulbs within a few years. And if you chose correctly, you won’t have to explain why you have CFL bulbs despite repeatedly being warned about them. "LED bulbs are better than CFL bulbs. End of story. They’re in different light source leagues. Frankly, I’m shocked that so many people act like it’s a matter of personal preference. It’s not. " There’s no way around it. The 2020s and 2030s will have even more intense fires than we’re seeing now.